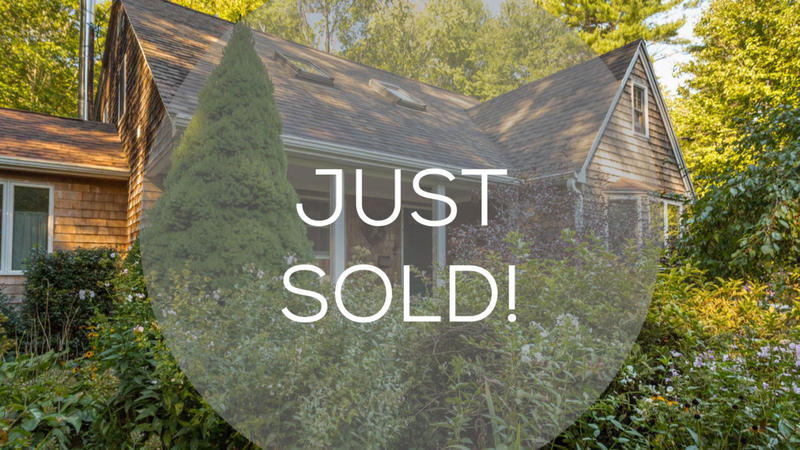 UNDER CONTRACT in 48 Hours & SOLD! Whimsical Woodland Charm surrounds this Classic Cape-style Cottage in Eliot! You’ll love the open concept contemporary feel of the first floor with an eat-in kitchen, vaulted ceiling dining/den area and glass-roofed sunroom with a cozy gas fireplace! The living room delights with wide pine floors and wood burning stove for those chilly nights! Tuck yourself behind French doors for some peace and quiet while you paint or read. Be the master of your domain from your private balcony off the master bedroom. Soak in your giant tub! The power is out? Don’t Worry! The whole house generator will take care of you without even having to get out of bed! Step out onto your back deck for some R&R, excellent bird and wildlife watching, and container gardening! Got chickens? Great! We’ve got the coop! An extra office and nearly finished great room over the 2-car garage offers up in-law suite possibilities. Brand new septic and a snowblower, too! Don’t miss this quaint priced-to-sell, PRE-INSPECTED home!